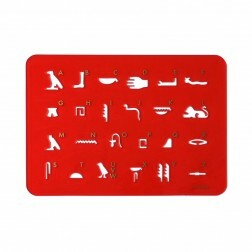 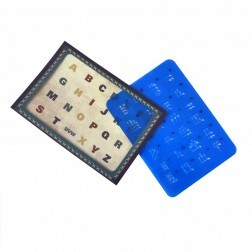 The ancient Egyptian hieroglyphic alphabet in form of a stencil that enables to copy the single signs one by one. 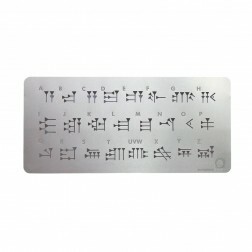 The ancient Mesopotamian cuneiform alphabet in form of a stencil that enables to copy the single signs one by one. The ancient Mesopotamian cuneiform alphabet in form of a stencil that enables to copy the single signs one by one. 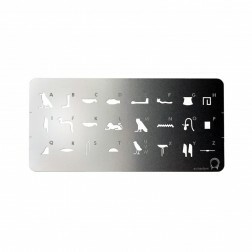 A leaflet gives additional information about cuneiform writing.